Our company has a rich history of working with lo cal and regional builders and developers. Whether it is a single residence or a neighborhood, we have performed under any scale of sewer and water work. Because we have the capabilities of a large construction firm while maintaining the customer-service sentimentalities of a service company, we can take advantage of an economy-of-scale no matter what the project size may be. We can also work with the area’s best civil engineering firms if a project is still under design or if your particular situation has become a design challenge. It has been a matter of survival to include both sewer and water connections and septic services in our portfolio of services. Over time, regulators at the local level have become in favor-of and against both on-site (septic) systems and municipal connections. We have been there to convert customers either way, and have the experience of both septic and connection regulatory protocol to make sure your project proceeds as smoothly as possible. One of the things that make Stamie Lyttle such an asset to the sewer and water customer is the diverse bag of tricks we have to make sure every job is done in the best way possible to the best result possible. The most common way to notice that a residential sewer line replacement or repair needs to be done is a backup of sewer connections – or surface water for water connections. If your sewer connection backs up, our first course of action is to try and unclog the blockage. If it is determined by television inspection (link to Video Pipeline Inspection Page) that the line has collapsed, it will need to be dug up and replaced. However, if the line is intact, but root intrusion is severe enough to warrant a long-term solution, we suggest a cured-in-place liner (Link to Trenchless Technologies Page) to create a seamless surface through which roots cannot intrude. 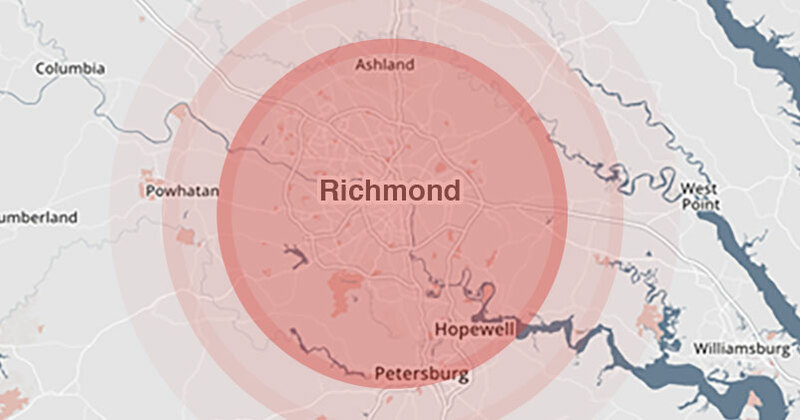 We’ve worked with Richmond area homeowners as sewer repair contractors, for over 60 years and can bring our wealth of experience to your project. Most home sites do not naturally have the perfect drainage for the long-term preservation of a home or landscape investment. 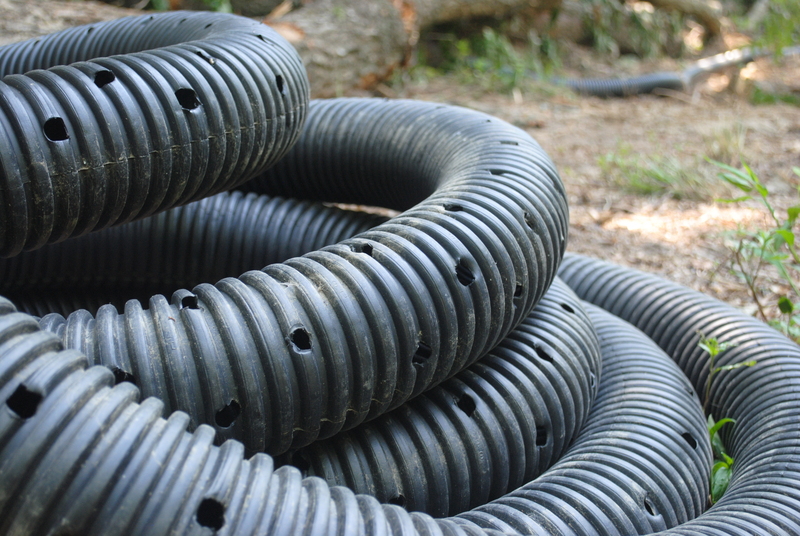 We have installed drainage solutions for landscape issues in yards for years. We also have experience with basement dampness solutions as well as groundwater wells and other highly-complicated drainage projects. 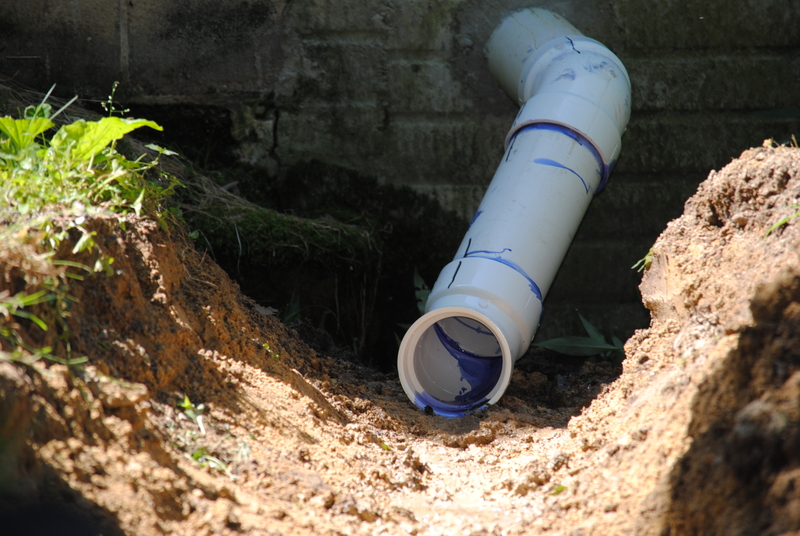 Contact our office at 804.232.6774 if you are experiencing an unwanted drainage or groundwater problem. We can send a profession to work with you on a solution, whatever that may be. We maintain our own large fleet of equipment to be ready for any situation. From tandem dump trucks, extended-boom backhoes (with the capability to dig 20+ feet deep), small Bobcat track-dozers, low ground-pressure equipment, directional drilling machines, pipe-bursting rigs, and just about any small engine equipment you can imagine, we can be on-site with the tools and experience necessary to get the job done right. Contact our office at 804.232.6774 for a current description of our equipment list and custom project solutions for your particular needs. It is a good idea to do a video pipe inspection of your sewer line every 5-10 years and or at the sale of a home or property during a real estate transaction. The most grossly expensive hidden costs after the sale of a home can be issues with the water and sewer utilities. To speak with a Lyttle representative regarding residential water and sewer line repair or replacement, contact us. We work anywhere in the Richmond region. Please call 804.232.6774, Monday-Friday, 8am to 4:30pm or contact us online anytime. For after-hours Emergency Services, please call 804.641.5942. © 2015–2019 Stamie E. Lyttle Co.